Okay let’s have it. Your favourite end-of-year reading recommendations. I have gone on about Travis Richardson's work being in the vanguard of short story writers irrespective of genre. Everyone knows this, what with the numerous award nominations and now a successful self-published short fiction collection. What makes Bloodshot and Bruised an achievement is how its stories frames each of the characters in their humanity, including frailty and confusion. We're able to laugh and cry and feel bewilderment at the folks depicted in Travis's work because we are those folks. Grab this book now. A special shout out to the poet Theresa Wong, Travis's one and only, who put together this lovely bound edition. I still have the promo button she gave me at Book Soup on my go-to sportcoat. I'm not taking it off. Lori Rader-Day continues to be my jam. No one handles the reluctant sleuth quite like my dear counterpart from Chicago. 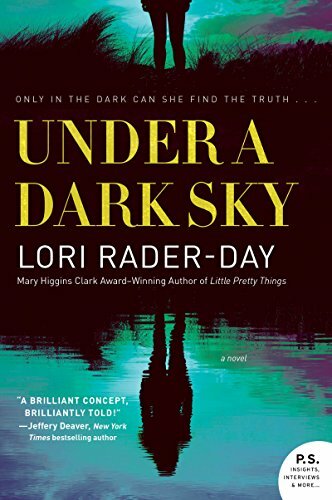 Her latest, Under A Dark Sky, continues her path to success with the tale of Eden Wallace, striving to overcome the loss of her husband through the challenge of accepting her fear of the dark and winds up entangled in a murder where everyone is a suspect, including her, phobias, loss, or no. 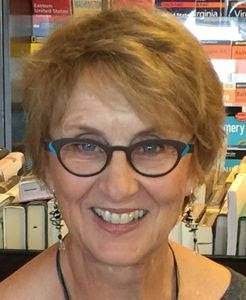 Lori Rader-Day knows the inner yearnings of her characters, and she sets her hero against inescapable darkness. It's another winner from the heir apparent to Gillian Flynn's misty, gaslit funk which she doubles-down upon with utter relatability. She's so dope. The best non-crime book I've enjoyed is Norty Cohen's Join The Brand. As I dig into my responsibilities to Bronzeville Books in 2019, this workbook/workshop-style resource has helped me open my thinking to new types of brand strategies, all of which emanate from our core desire to be good to writers and readers. 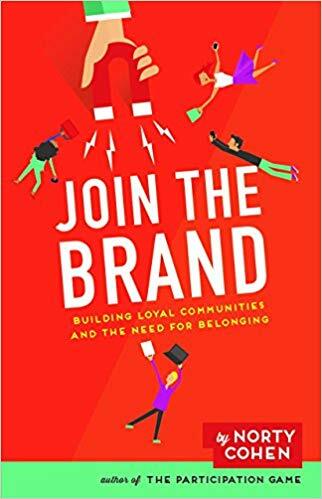 It's been a must-read since picking it up in the airport, and the exercises are wonderful for shaping thoughts and intentions around branding initiatives that make people feel inspired through a sense of belonging. I found it at the right time, and it's been good to me ever since. This year, it seems to me that there’s been a proliferation of Best Of lists in the crime writing community. More than I’ve ever seen before. But, unfortunately, there hasn’t been much of a proliferation of different titles or authors. We do tend to see the same names cropping up on most of the lists. I wish these lists could be called “Books That I Read and Enjoyed” in 2018. There are so many unnoticed books out there. I get it. It’s understandable. Who has time to read everything? Or even a tiny fraction of what’s been published? Don’t get me wrong. I’m not knocking the books or the writers who figure on the lists. They deserve the accolades; I admire them and enjoy their books. What I’m suggesting—in the nicest and gentlest way I know how—is that maybe we could shine some light on overlooked books a little more often. Just to liven things up a bit. 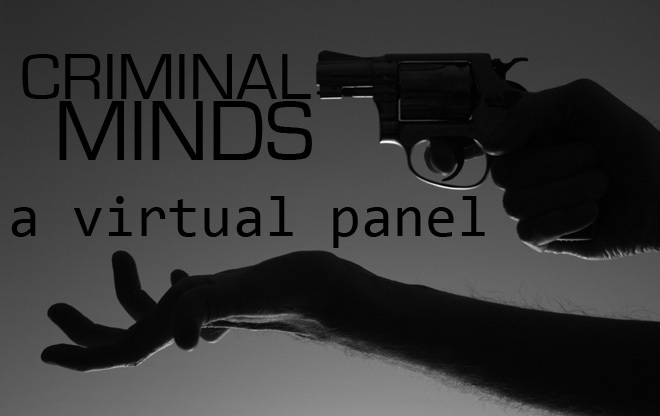 I believe my fellow 7 Criminal Minds bloggers have done just that by citing less-obvious books and authors this week. I congratulate them for that. I’m not going to mention any New York Times bestsellers here. I may love those books, but they get plenty of press already. 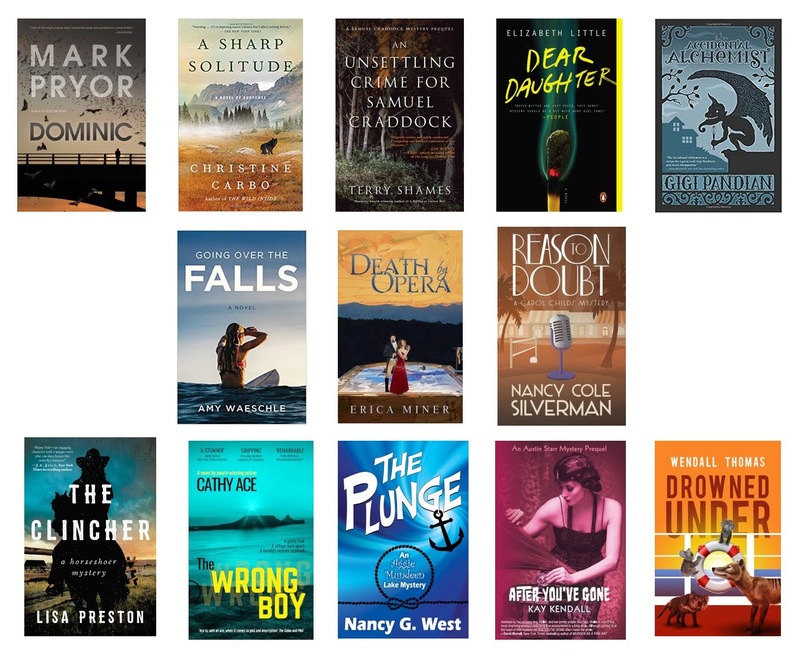 Let’s look at some of the books I read in 2018 (in no particular order). I won’t say which were my favorites, but these are all very good. And there are a couple of WOWs! among them. I urge everyone to read. Read anything. Read the big names, the mid-listers, and the unknowns. Read the back of a cereal box. Then post your comments, write reviews, leave ratings on Amazon and Goodreads. Enjoy books and love them for something they bring to you. Not every novel is a masterpiece. Relax and try to find something nice in a book. And if you don’t, remember that you’ll read again. 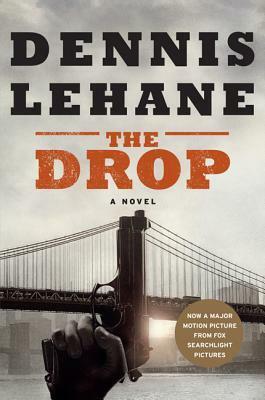 In crime fiction, this year’s reading highlights for me included Dennis Lehane’s The Drop, published in 2014. The story starts with the main character finding a dog in a trash can, a good deed with consequences coming right behind it. It’s a great book by one of the best. 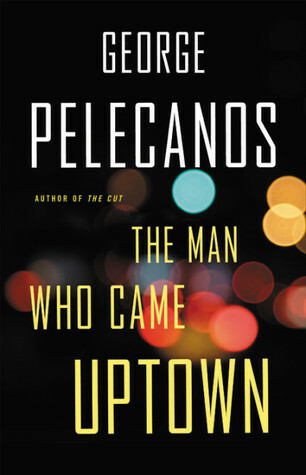 And there’s The Man Who Came Uptown by George Pelecanos, published in 2018, about a guy struggling to do the right thing after making some bad choices. 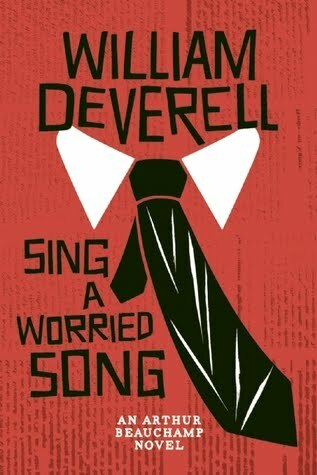 Published in 2015, I also want to recommend Sing a Worried Song by William Deverell, a great addition to the Arthur Beauchamp series, a legal thriller about the beloved attorney winning one in the courtroom, while a case from his past comes to haunt him. I also dusted off a couple of crime classics that I love to reread from time to time: James Crumley’s The Right Madness, and Sideswipe by Charles Willeford, are both are among the best. 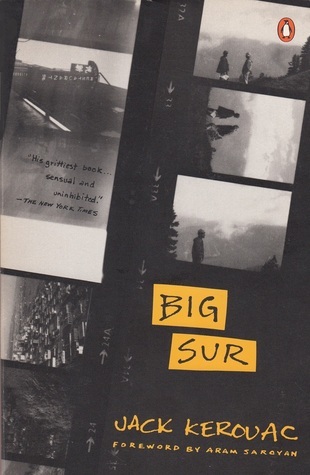 Outside the genre, I reread a couple because they’re just that good: Jack Keroauc’s Big Sur, partly because of Kerouac’s great writing style, partly because it’s set in one of my favorite places. I read it traveling to the Monterey Peninsula on a rocking train down the West Coast which seemed most appropriate. I also reread True Grit by Charles Portis, an author with a great voice and an equally great sense of humor, bringing to life the story of Matty Chaney and Rooster Cogburn. 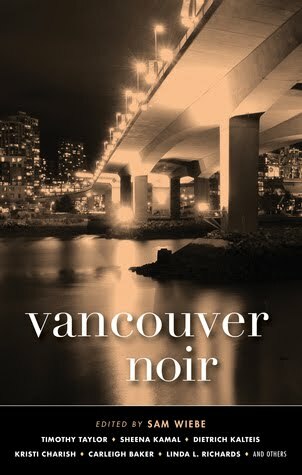 Right now, I’m reading Vancouver Noir, and although I’m slightly biased since I have a story in this compilation, I’m really enjoying this one. It showcases some of the great local talent we have on Canada’s West Coast, and it’s part of the Akashic Noir series, this one edited by Vancouver’s own Sam Wiebe. Since films are stories too, I thought I’d mention some that I enjoyed this past year. First off, there’s Darkest Hour, which is actually from last year, a story we’re all familiar with, one of certain defeat turning to victory. 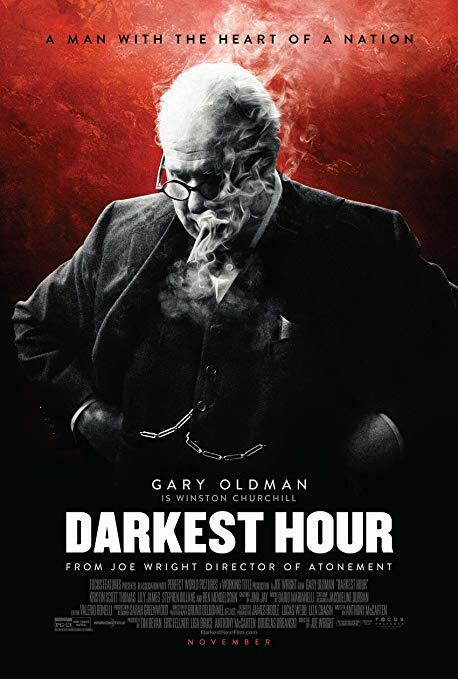 Gary Oldman sure brought it on in his brilliant portrayal of Winston Churchill. A well-deserved Oscar performance. 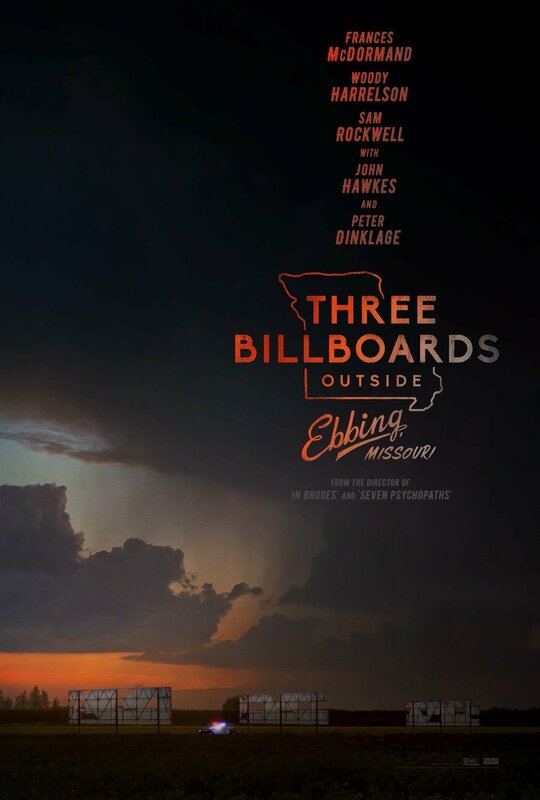 Three Billboards outside Ebbing, Missouri is another great film from late last year, with performances by Frances McDormand, Sam Rockwell, and Woody Harrelson that I could just keep watching over and over. And if you’re a fan, there’s another great performance by Woody Harrelson in The Glass Castle. And I, Tonya, a film based on a true story that comes off like a black comedy, has Allison Janney doing an amazing portrayal of Tonya Harding’s mother. I also thought Margot Robbie was brilliant in the starring role. 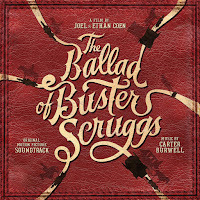 The Coens were back this year with The Ballad of Buster Scruggs. I expected quirky, funny, dark and violent, and I wasn’t disappointed. 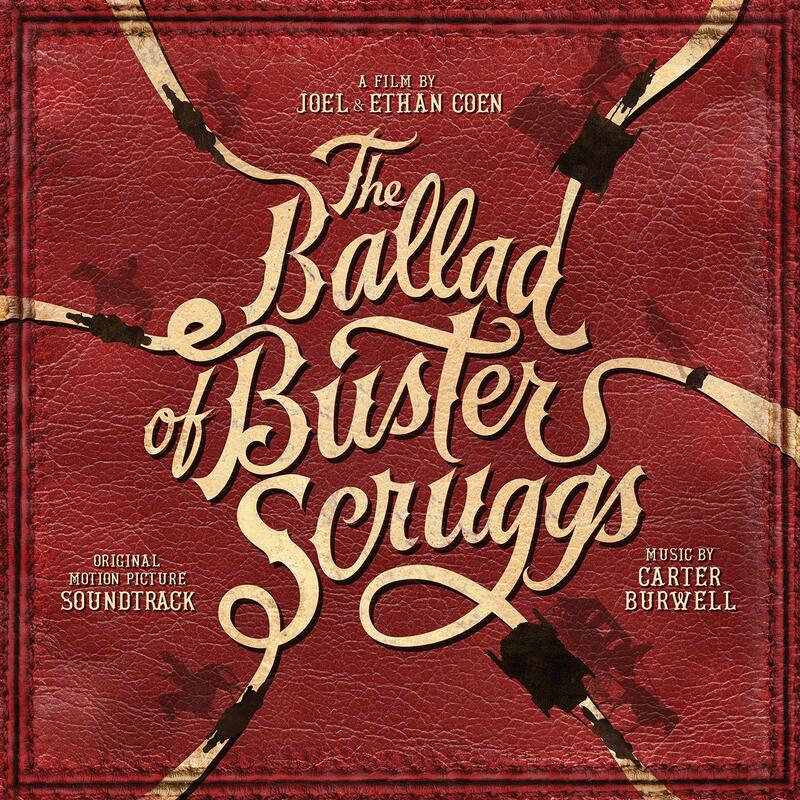 What I wasn’t expecting were the six separate tales of the American West that make up the film, but it all works in typical Coen fashion. I loved the characters portrayed by Tim Blake Nelson, Brendan Gleeson, Liam Neeson and Tom Waits. 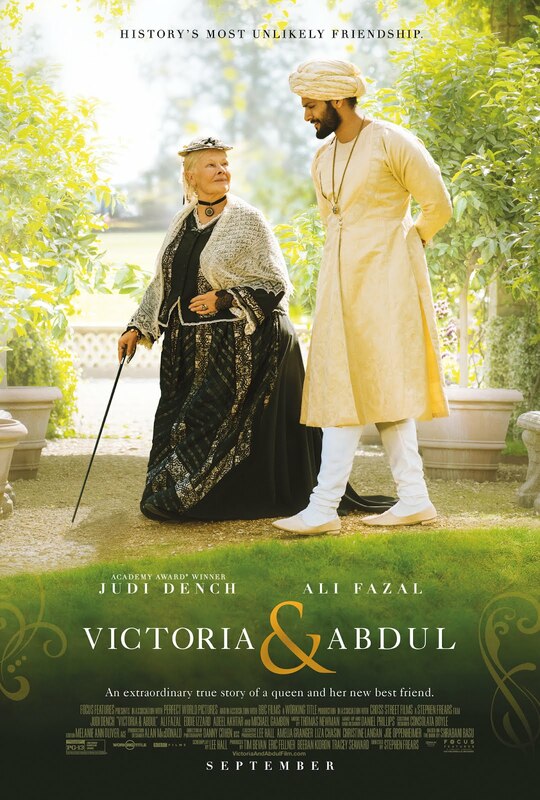 Another one based on a true story, Victoria and Abdul was an excellent film, a story about the unusual friendship of aging Queen Victoria and a young Indian clerk, with the kind of great performance one would expect from Judy Dench. 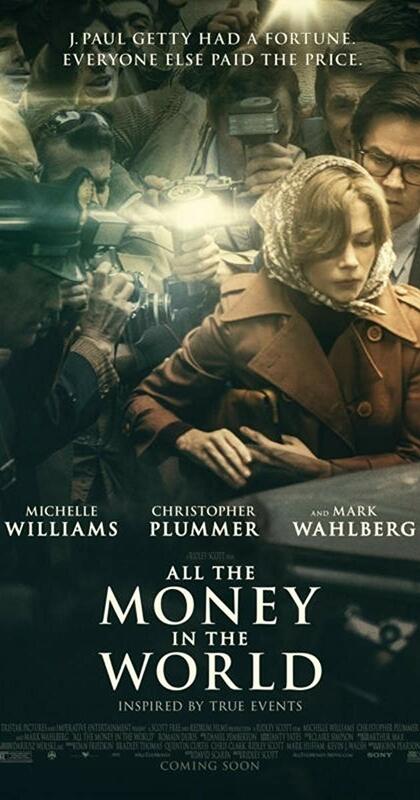 All the Money in the World is also from last year, and it’s the story of the kidnapping of John Paul Getty’s grandson. And Christopher Plummer sure deserved all the nominations for a role he took over on some very short notice. He’s equally great in 2018s Boundaries, a story about a mother coming to terms with her pot-running father. 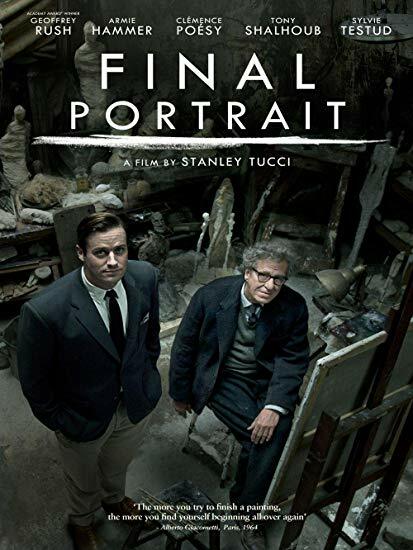 Final Portrait is another film I found well worth watching. 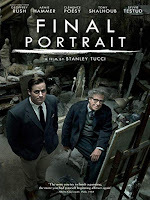 Geoffrey Rush sure delivers in his role as the artist Alberto Giacometti. And director Stanley Tucci takes a real and insightful look into a great artist’s process. 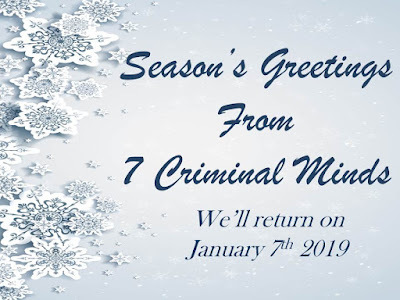 This is my last post for 2018, so I’d just like to say thank you to everyone at 7 Criminal Minds and to all our regular readers, and I’d like to wish everybody a great holiday season and all the best for the coming year. I’ve read a lot of good books this year, both crime fiction and general fiction. It’s a difficult decision, but here are five I enjoyed. I am concentrating on books by Canadian authors, since they are less known to readers to the south. 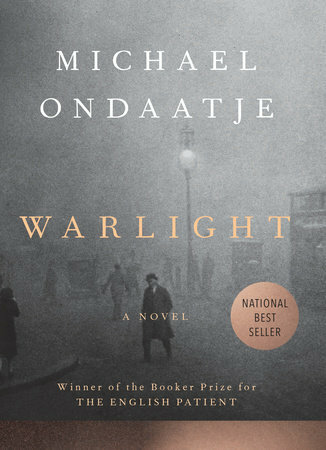 Warlight by multi-award winning author Michael Ondaatje, best known for his book The English Patient of movie fame. Though classed as Canlit, Warlight is in fact a rip-roaring mystery story. Set in Britain at the end of the Second World War, it is about two siblings, fourteen year old Nathaniel and his older sister Rachel, who have been left in the care of a mysterious character by the name of The Moth when their parents move to Singapore. The story revolves around the real identity of The Moth and the cohorts he relies on to help with the care of the children and the mysterious endeavours of their parents, particularly their mother, who eventually returns to England with little explanation for her absence. Beautifully written, it will capture your attention until the surprise ending. 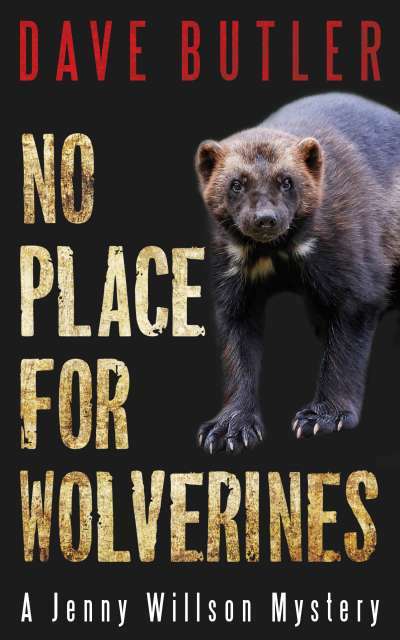 No Place for Wolverines by David Butler, which is the second in the Jenny Wilson mystery series. The first book, Full Curl, was last year’s winner of the Author Ellis Award for Best First Crime Novel. Jenny is a no-nonsense park warden for Banff National Park. Needless to say, the Rocky Mountain setting is fabulous, one to which I particularly relate after spending a delightful time in the same mountain range this past summer. In No Place for Wolverines, Jenny is intent on uncovering the real reason behind a project to build a ski resort in the pristine and undeveloped mountains of Yoho National Park. 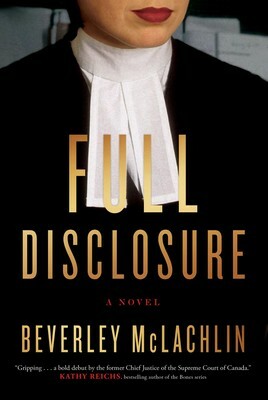 Full Disclosure by Beverley McLachlan, the former Chief Justice of Canada, was another mystery I enjoyed. 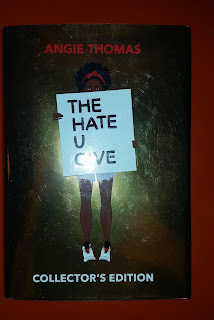 Expecting a mediocre book, whose only merit was in the status of the author, I was pleasantly surprised. A legal mystery/thriller, it stars defense attorney, Jilly Truitt and is set in ‘the gritty streets’ of Vancouver. Jilly takes on the difficult and controversial defense of a wealthy man, who everyone is convinced is guilty. All the evidence points at his guilt. As she endeavours to unravel the lies, she uncovers a long suppressed secret that affects not only the case but her also. 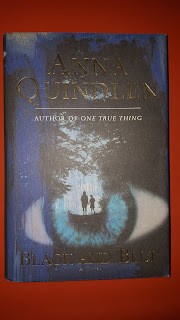 I quite enjoy Brenda Chapman’s Stonechild and Rouleau series and found Bleeding Darkness, her latest and fifth in the series, continues the engaging story telling established by the earlier books. Set in Kingston Ontario, Detective Kala Stonechild and Staff Sergeant Jacques Rouleau are members of the major crimes unit of the local police force. 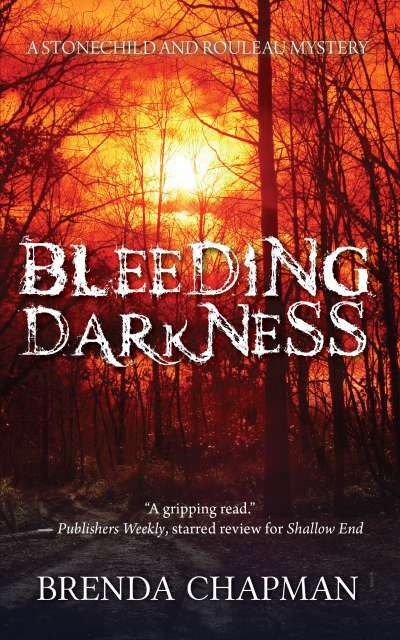 Bleeding Darkness involves two seemingly unrelated murders set fourteen years apart and the secrets that bind them. For those of you who like involving yourselves in the lives of series characters, you will quickly find yourself wanting to find out what happens next in the story arch of Stonechild and Rouleau that goes from book to book. 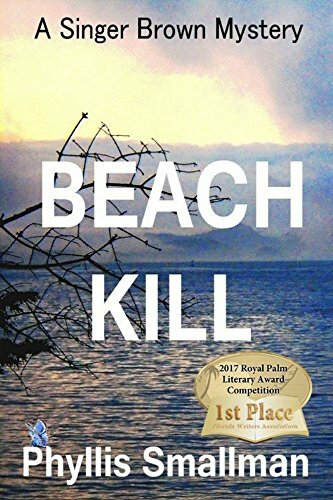 With my last selection, I take you to the west coast of Canada, to the seductive allure of the Gulf Islands where Phyllis Smallman’s Beach Kill takes place. The series stars quirky former and one time homeless singer, Singer Brown, who is attempting to renew her life on the fictitious Glenphiddie Island. Second in the series, Beach Kill is about the suspicions and secrets surrounding the death of a teenage girl and how they envelop the whole town. 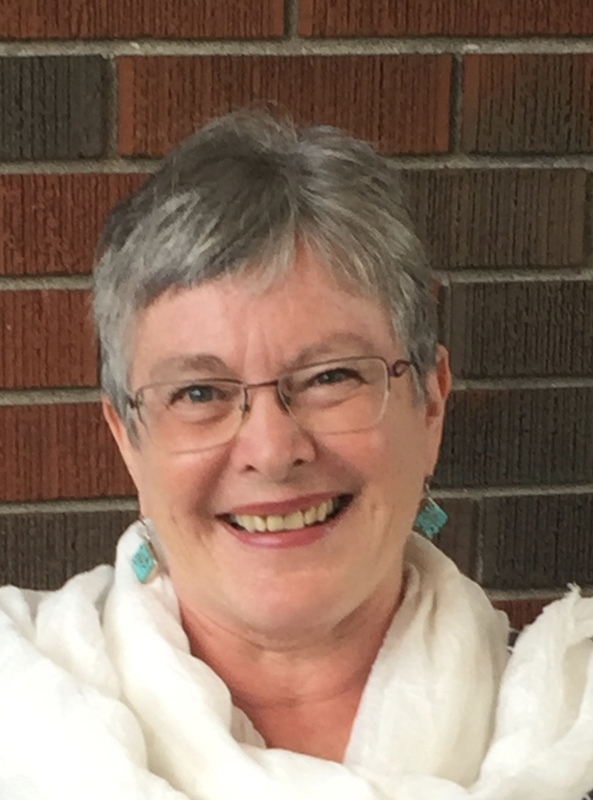 Sadly, Phyllis passed away this fall, so there will be no more books. 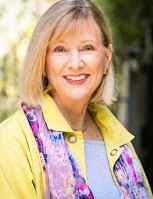 But she leaves behind her multi-award winning, Florida based, Sherri Travis 7 book series in addition to the Singer Brown series. 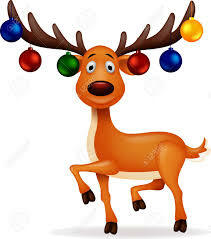 Before I sign off for 2018, I would like to wish all of you an enjoyable holiday season and for those who celebrate, a very Merry Christmas. I hope you are able to bring in the new year in style. 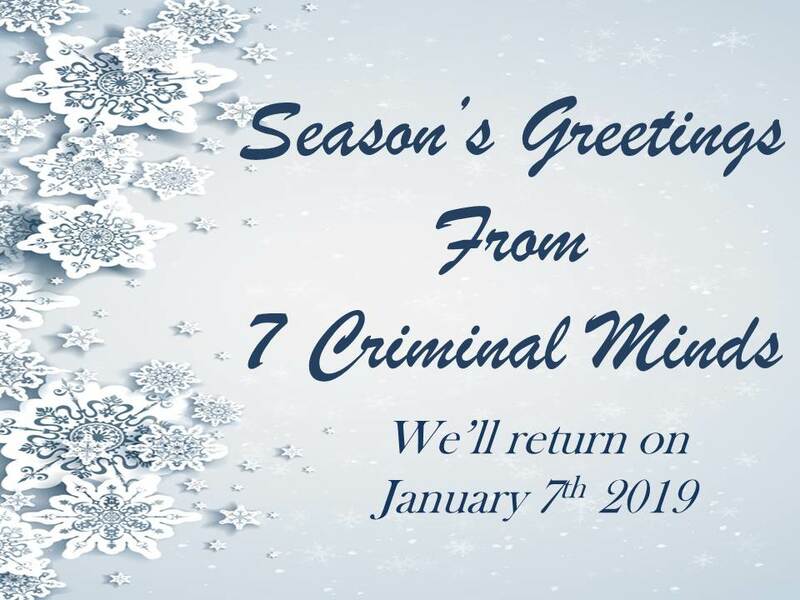 See you all in 2019! Question: Okay, let’s have it, your end-of-year reading recommends. This week’s question has me thinking back over the books I read this year, and I have to say that there weren’t that many. I’ve spent most of my time working on a manuscript, editing a second and travelling. So, like Paul D. Marks who gave his classic book picks last week, I’m selecting a few crime fiction series from past reading that I enjoyed and believe you should have on your list. There are many, many other series that I enjoy, but hopefully a couple of these aren't as well known by those of you reading this blog! I'll start with the series that had the greatest influence on me as a writer. 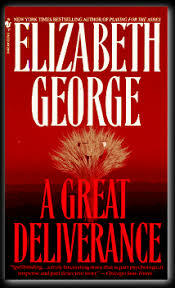 I remember reading Elizabeth George’s A Great Deliverance and being blown away by the plot and writing. I’ve since read every book (with the exception of the last one) in her police procedural series set in London and featuring Inspector Lynley and Barbara Havers. The books were made into a tv series, but in my mind, the books still are the gold standard. 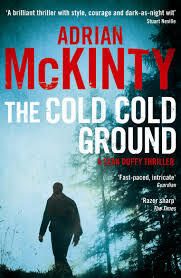 A local independent bookstore owner recommended Adrian McKinty's series starting with The Cold Cold Ground a few years ago. Since then, I've read his entire Detective Sean Duffy series with the exception of his latest The Detective Up Late - I resolve to read it in the new year! 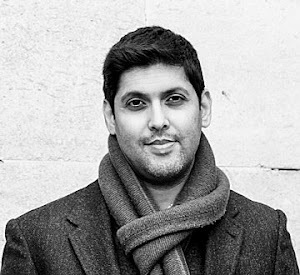 Adrian is a British novelist and critic born in Northern Ireland and his detective Duffy is a Catholic cop working in Belfast during the troubles in the 1980s. Lots of wise-cracking but gritty writing that keeps you turning the pages. Liza Markland is a Scandinavian writer whose protaganist Annika Bengtzon is a journalist trying to balance career and family. 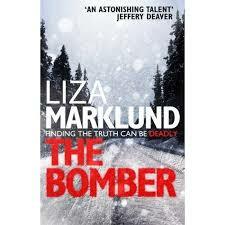 The first book in the series The Bomber is set at Christmastime in Stockholm. Annika is woken at 3 a.m. to take photos for the morning paper of a bombing at the new Olympic arena. Annika sets out to uncover who and why and puts herself into danger. 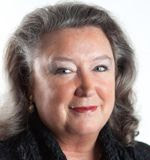 The books develop her as a character and make for fascinating reading. So I've taken you to London, Ireland and Stockholm. Back in Canada, Giles Blunt wrote a series that I highly admire featuring cop John Cardinal. The books are set in fictional Algonquin Bay, reminding me of the Northwestern Ontario town where I grew up. In Blackfly Season, a woman wanders out of the woods with a gunshot wound to her head and no memory of how she got it. 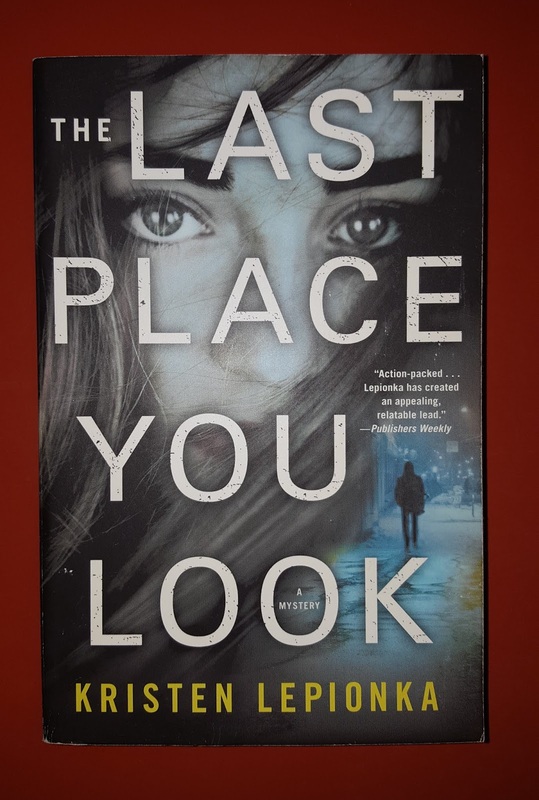 Like all the books I enjoy, there is a balance between the personal lives of the protagonist and the crime under investigation, and the writing draws in the reader. And to round off my list, let's go back overseas to Yorkshire and Stuart Pawson's series featuring Inspector Charlie Priest. 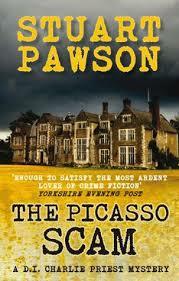 My husband put his first book The Picasso Scam into my Christmas stocking and I was hooked. 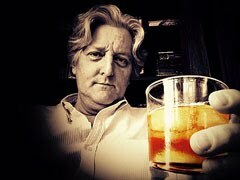 I was sad to learn that Stuart died a few years back and know he's greatly missed by all his friends in the crime writing community. The books have a lot of humour and make for great escapist reading. I spent many a happy hour following Charlie Priest around on his escapades. Okay, let’s have it, your end-of-year reading recommends. To be honest, I never like answering questions like this. 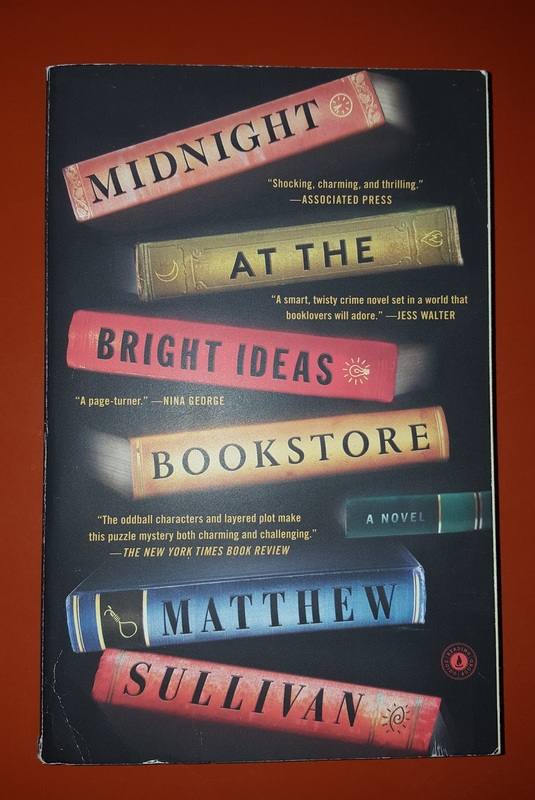 The main reason, as I believe I’ve mentioned before, is because if I recommend a contemporary’s book – or several contemporaries’ books – inevitably other people will be left out. And since I know a lot of contemporary writers I always feel bad recommending someone’s book but not someone else’s. I may even like the left out book but just forgot to include it or I may not have read it – or I may not have liked it. So why go there? I’m not a critic who works critiquing books. So, instead I think I’ll just recommend some classics and older books that I like. If I mention Raymond Chandler or Alexandre Dumas, who lived a couple hundred or so years ago, I don’t think anyone can feel left out or hurt that I didn’t mention their current book. I’ve probably mentioned all of these before in one form or another but they’re worth another mention, another look and for those who aren’t familiar with them a first-time experience. Most are in the crime field, but several aren’t. And a couple are semi-contemporary, though not in the crime field so I don’t feel bad including them. 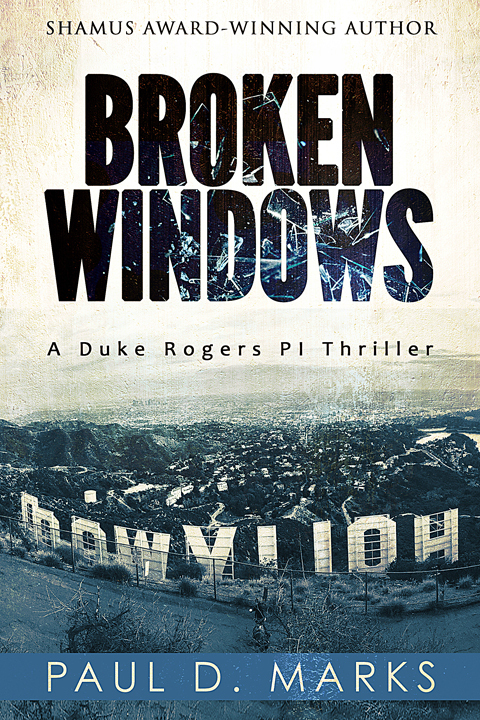 And, there’s always an exception to every rule: Broken Windows. I guess that’s contemporary since it came out a few weeks ago. See the review excerpts in the BSP at the end of this post and maybe give it a shot. My favorites in the crime genre are Raymond Chandler, Ross Macdonald and James Ellroy. Chandler for his elegant descriptions, metaphors, characters, depiction of the mean streets and his ville fatale relationship with Los Angeles, will always be on top, MacDonald with his psychological insights and Ellroy with his corrupt and sultry grittiness. The Big Sleep (1939), by Raymond Chandler. 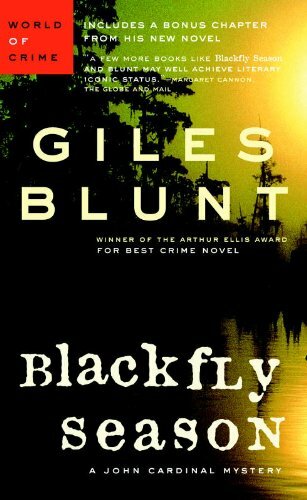 This is the book/story that really turned me onto crime fiction. Whatever issues it might have, it’s still a wonderful piece of writing. 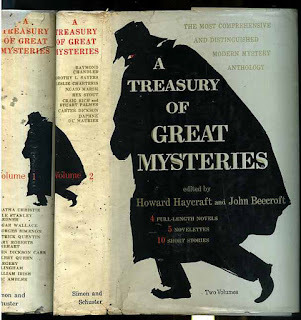 My mom had a two volume Treasury of Great Mysteries with a very sinister cover of a mysterious cloaked man that was half on one volume, half on the other. I saw that book on her shelf for years until one day I finally decided to crack it open, starting with The Big Sleep. I’ve been hooked on crime ever since. Pretty much all Chandler would be on my list. I don’t think you could go wrong with any of his books – because he’s just such a damn good writer. But if I had to pick a favorite I think I’d choose The Long Goodbye (1953), though I’m not sure it would be the best introduction him. Better to start at the beginning. 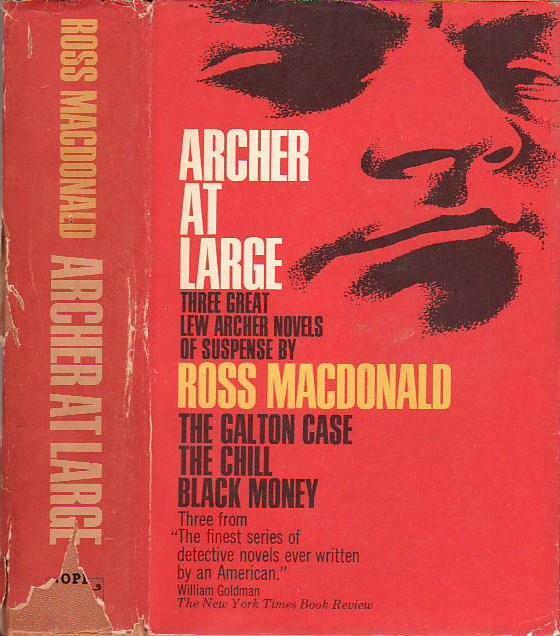 The Chill (1964) – Ross Macdonald. This is the story that turned me onto him. A book club sent me a three-novel anthology of his books (The Chill, The Galton Case and Black Money – all good) by mistake. I wasn’t about to spend money to return it, that was on them. 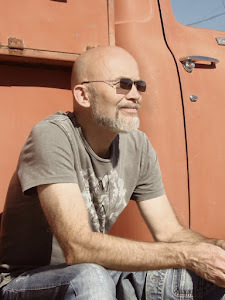 So I read it and was hooked on Ross M. He blows me away with his explorations into the psychological aspects of crime and stories that boomerang back on the characters – the past always comes back to haunt them. I like pretty much everything by both him and Chandler. And, at the moment, I’m rereading the Zebra Striped Hearse. Both Chandler and Macdonald would be good for pretty much anyone interested in mysteries and the crime fiction genre, but especially as an intro to a young or new reader of mysteries. And as an introduction to classic mystery and detective fiction. 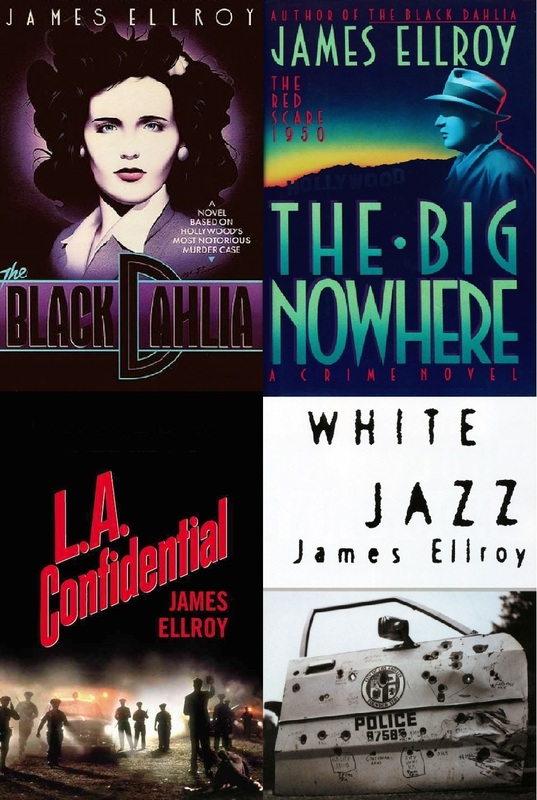 The L.A. Quartet (The Black Dahlia, 1987; The Big Nowhere, 1988; L.A. 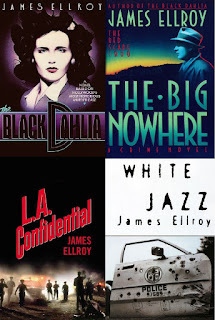 Confidential, 1990; White Jazz, 1992) by James Ellroy. All are good, but if I had to pick one as a fave it would be The Big Nowhere. To try to describe Ellroy’s fever dream style is an exercise in futility. The story is set in LA in the 50s right after WWII. 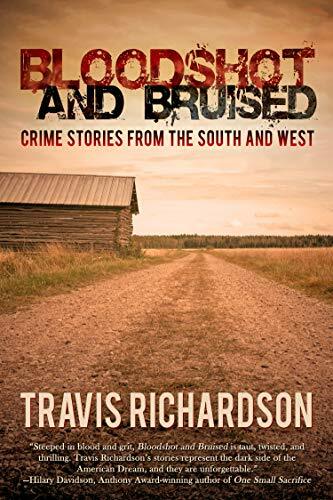 In part, it follows Sheriff’s deputy Danny Upshaw through the investigation of a series of mutilation crimes and exposes corruption and hypocrisy amid the “red scare”. I used to go to many Ellroy book events and signings and he truly is the Demon Dog of American Crime Fiction. At one event he even had a band with him. He’s a trip. His writing is a trip. His books are a trip. They would be good for anyone who’s into new noir with a retro setting, LA history buffs and the usual suspects. Down There (a.k.a. Shoot the Piano Player) (1956) by David Goodis. David Goodis has been called the “poet of the losers” and his stories of people on the skids certainly bear that out. I came to Goodis through the movies, which is how I’ve come to several writers and/or novels. I’m a fan of the Bogie-Bacall movie Dark Passage, so after having seen it a couple of times I decided to check out the David Goodis novel it was based on. I liked it enough that I began to read pretty much anything of Goodis I could get my hands on, but this was before he came into vogue again so mostly I had to pick up very scarred paperbacks (many, though not all of his books were only published in paperback), and I devoured his whole oeuvre. And, though I liked pretty much everything to one degree or another, Down There really stood out for me. It’s the story of a World War II vet, a former member of the elite Merrill’s Marauders who, for a variety of reasons, is down on his luck – way down. Francois Truffaut made the book into a movie called Shoot the Piano Player which, to be honest, I don’t like very much, but that’s why the title of the book was changed from Down There and is probably better known today as Shoot the Piano Player. I think it would be good for fans of classic noir, old movie buffs, and others. Ask the Dust (1939) – by John Fante. A must read for any writers living in Los Angeles. If for nothing else but to marvel at how someone could still eke out a living writing short stories. It’s also a must read for anyone interested in L.A. The setting is Los Angeles in the 1930s, in the “shabby town,” of Bunker Hill in Chandler’s words. I discovered Fante and this book before the new surge of interest in him and was so impressed that I wrote to him at his home. Unfortunately he was already so sick by then that I didn’t hear back, or maybe I wouldn’t have anyway after some of the things I’ve heard about him. 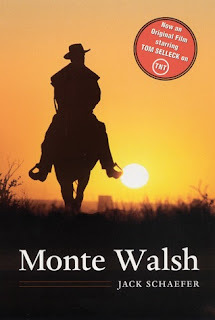 Monte Walsh (1963) – by Jack Schaefer & The Shootist (1975) by Glendon Swarthout. I put these two westerns together because they’re both about men who’ve outlived their time – and time is passing or has passed them by. This is a theme I enjoy reading about and write about often myself. The Grifters (1963) by Jim Thompson. A good book and an even better movie. 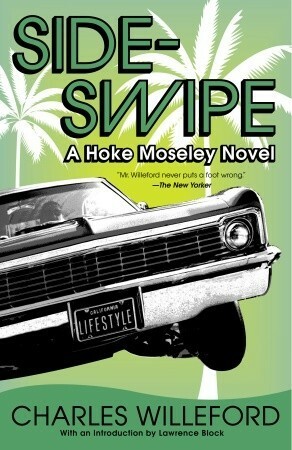 If you like people living on the down low, if you like con artists, and if you like the grift, this is the book for you. It would be good for fans of Jim Thompson (how’s that for stating the obvious? 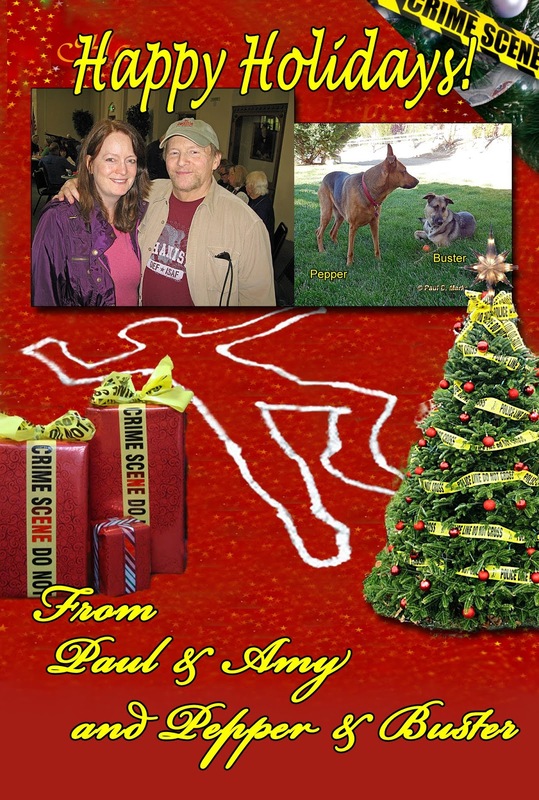 ), noir fans, hardboiled mystery readers. 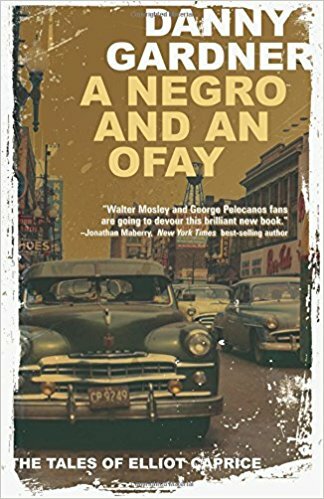 Devil in a Blue Dress (1990) by Walter Mosley. The book that introduced Easy Rawlins. That’s enough. Double Indemnity (published in a magazine 1936) / The Postman Always Rings Twice (1934). Classics that made even better movies than the books. The Razor’s Edge (1944) by W. Somerset Maugham. My favorite book of any genre. A book which is, at the risk of sounding corny, about a man seeking the meaning of life. But a book that I could relate to on many levels and which deeply affected my life in many ways, Larry Darrell’s disillusionment after the war (WWI), and his search for peace and meaning in life. 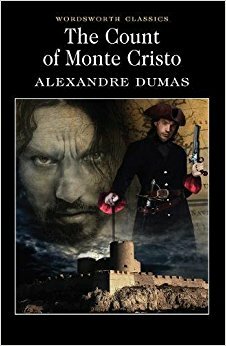 The Count of Monte Cristo (1844) by Alexandre Dumas (père): The ultimate revenge novel needs no description. But I believe this is what led to the saying “revenge is a dish best served cold”. I love revenge stories and this is the Big Daddy of them all. And the way Edmond Dantes gets revenge on his nemeses is clever, brilliant and very satisfying and revenge is so satisfying, served cold or otherwise. The Tartar Steppe (1940) by Dino Buzzati. A novel about waiting for something momentous to happen that never happens – waiting and waiting and waiting, like so many of us do. And no, it’s not about waiting for your clams in some snobby restaurant so you can put tartar sauce on them. And no, it’s not about waiting for some guy name Godot. A soldier is posted at the Tartar Steppe, hoping to be called on to show his courage and bravery in the glory of battle. Time slips by – he grows old – and the wished for attack is always just beyond the horizon. World’s Fair (1985) by E.L. Doctorow (or maybe I should leave the periods out of his initials…). Probably my favorite coming of age story about a boy growing up around the time of the 1939 World’s Fair. Chronicles Vol. 1 (2004) by Bob Dylan. Dylan talking about, uh, Dylan. Fascinating. Wish he’d come out with Vol. 2 already. High Noon: The Hollywood Blacklist and the Making of an American Classic (2017) by Glenn Frankel. I’m fascinated by the Blacklist and that era. And this is a good look at it via the making of a one particular movie. But, because of the people involved, it covers much more than just that movie. I knew one of the Hollywood Ten somewhat and found it very interesting talking to him and getting a first-hand account of those years. The Waste Land (1922) a poem by TS Eliot that shouldn’t be forgotten. I always start the year with good intentions: I'm going to write down everything I've read and make a note of what books are eligible for the various awards I get to nominate for - Leftys, Agathas and Anthonys. Usually, it all falls apart sometime in the summer. This year, for no reason I can find, I stuck with it. Here are the results. 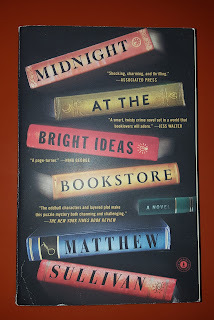 Another chuckle-fest - wait though, it might have its dark side but the warmth of these characters is irresistible - was Midnight At The Bright Ideas Bookstore, by Matthew Sullivan. (Eligible for debut nominations, by the way.) I didn't know Colorado had grungy bits (I've only been to Fort Collins) but that's where this biblio-mystery is set, in the welcoming disorder of the titular bookstore and in the tangled life of Lydia Smith, who works there. 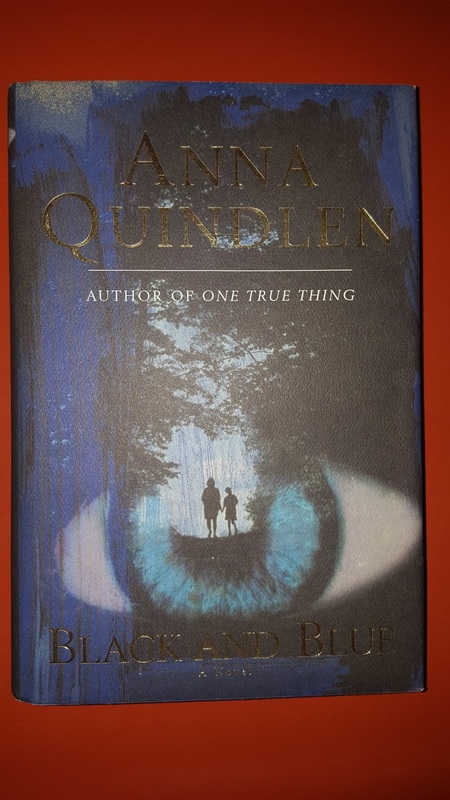 Clues in books, secrets in the past, peril in the present - this is a square, fair-play puzzle and absolutely compelling. Late to the party? Moi? When you're reading the collector's edition with fan art and book-club notes, you know you've missed your chance to look cool. Eh. 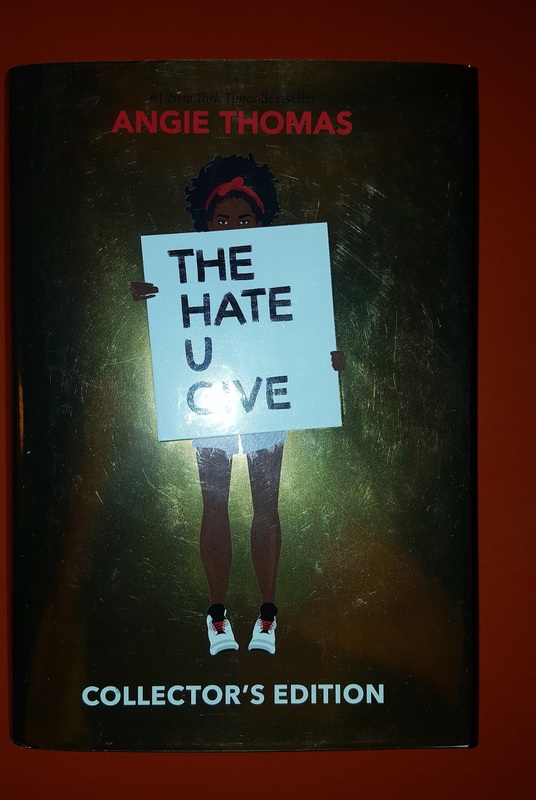 The Hate You Give by Angie Thomas (2017) deserves every bit of the hoopla it's getting. The plot is - tragically - ripped from the headlines, concerning as it does an unarmed black teen shot by a white cop during a (probably baseless) traffic stop. The narrator is Starr Carter, a triumph of a character. She's believably insecure and conflicted, a refreshing change from the glib sassy feisty girl heroine that clogs up some YA. I loved her. I missed her when the book was finished. 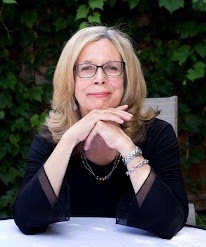 And, while I don't know how Starr would read to someone who's living a real version of her fictional life, she taught this heap of middle-aged white privilege a sharp lesson and did it with a lot of charm. The fourth of my top five reads of the year is Kristen Lepionka's The Last Place You Look (2017). Ohhhhh, it's good. You think you've read enough PIs with sad lives, poor judgement and drinking problems? Wrong. 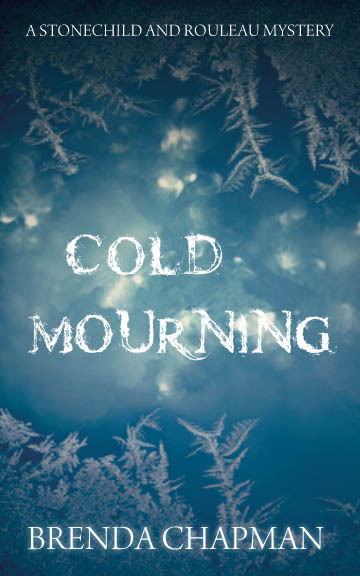 You need to make the acquaintance of the splendidly-named Roxanne Weary, as she mourns her father, completely fails to stay away from bad influences and cracks open the coldest of cold cases in the shadow of death row. I can't remember the last time I finished a book and immediately drove to a bookshop to buy the sequel, but suffice to say What You Want To See is just as good (and eligible for all the 2019 awards). My last choice is a stretch for a crimewriters' blog. 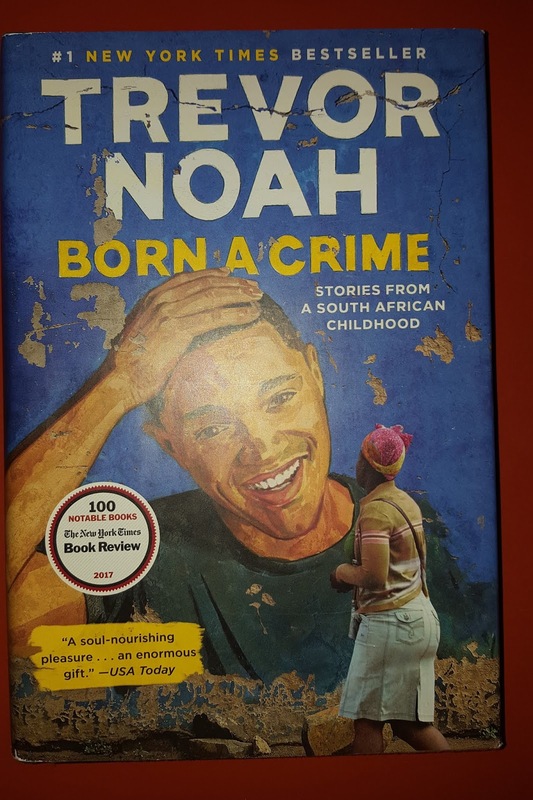 Trevor Noah's memoir Born A Crime (2016) title-aside, isn't really in the genre. On the other hand, there's kidnap, petty theft, some of the most bumbling efforts at extortion you'll ever see, and the big crime itself, so I'm claiming it. 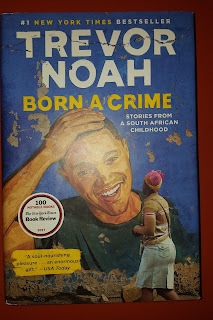 Noah's account of his early life in the near totalitarianism of that racist regime is . . . hilarious. Really. It's heartbreaking too, of course. And warm, and infuriating, and inspiring and, I'm ashamed to say, informative. I thought I knew about apartheid. I was a student, singing and marching and voting to change the name of the cafeteria, while it went through its death throes. And sitting all day in February 1990, watching that shot of that hot dusty road, waiting for the first glimpse of Nelson Mandela in my lifetime is something I'll never forget. Turns out, though, I had no clue. Or - maybe, and I prefer this explanation - it's just that Noah is a talented writer who brings the past to life in new ways. Yeah let's go with that, eh?! So there you have it. There's something for everyone in my top five, I reckon. Happy holidays and happy reading.